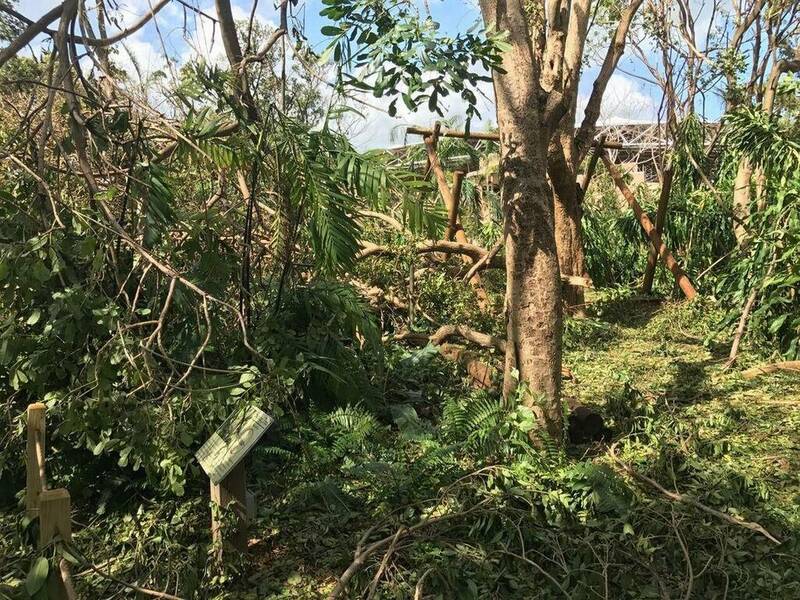 All of Jungle Island’s 600 monkeys, birds and other animals weathered Hurricane Irma “just beautifully” — but the park, “not so much,” said Christopher Gould, the park’s managing director. Gould, who didn’t know when the park would be able to reopen, said there were hundreds of thousands of dollars in damage and dozens of trees down everywhere, but workers are still assessing the damage. “First we have to clear everything before we really know what we are dealing with,” he said. After Hurricane Andrew, the park, then called Parrot Jungle and located in Pinecrest, suffered nearly $5 million in damages and was closed for three weeks. The park had been there since 1936, but in 2003, it moved to a 17-acre spread on Watson Island . The move allowed the park to expand and add more animals to the mix including sloths, lemurs, monkeys and other primates. The park is currently trying to expand to include an adventure park and a hotel. Before the storm, the animals — ranging from birds to primates to other mammals — were secured in hurricane-proof enclosures. Staff secured as much as they could. Animal specialists were on hand during the storm to help the animals deal with the stress of being moved out of their habitats, Gould said. As the storm moved through, Gould said the staff watched yachts being battered, and trees being torn up from the third-floor of their hurricane-proof building. Employees began assessing the damage late Sunday, but got a better sense of the destruction Monday morning. All the animals were back into their habitats — which did not suffer major damage —Monday. Gould said the animals were unscathed. But the park is definitely not ready for visitors. “We have a lot of work to do,” Gould said.